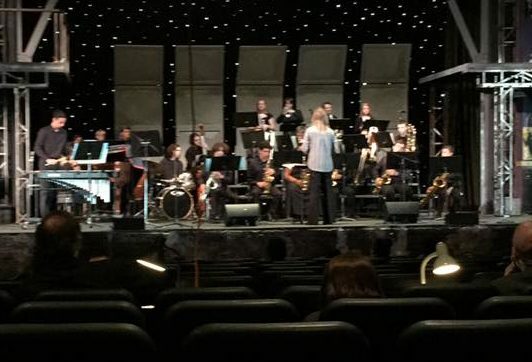 What a great showing for the Jazz Band last weekend at the Santa Barbara High School Jazz Festival! Not only did the band receive a First Place in the Intermediate Division, but our many soloists were honored as well, including Thomas Green, Ben Rosenberg, Cisco de la Garza and Kit Scriven. Breanna Chambers was awarded Outstanding Soloist for the Festival and Outstanding Intermediate Festival Soloist. Congratulations to our 28-member Jazz Band!